The Center for Biological Diversity knows law — and we're good at it, winning positive outcomes for endangered species and sensitive wildlands in 93 percent of cases we file. We also know science — our expert biologists help us know which species and habitats need protection, why they need it and how it should be implemented to put them on the path toward recovery. Get to know the many facets of our organization by checking out some of our favorite Center videos: some of them serious, many of them humorous — and we think pretty much all of them as awe-inspiring as the natural subjects they cover. We make videos as diverse and unique as the species, wildlands and waters we work to protect. Check them out on Facebook or YouTube. 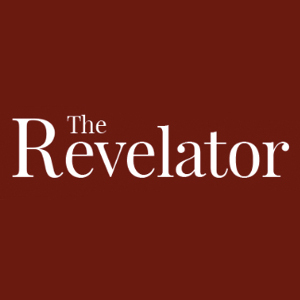 In May 2017 the Center launched our own online media outlet, The Revelator, which focuses on environmental news, incisive investigative reporting, and deepening conversations about the most important conservation issues of this century. The site includes daily stories about wildlife, climate change, public lands and other environmental topics, as well as essays, commentary and investigative pieces at the intersection of politics, conservation and economics. Sign up to distrubute our Endangered Species Condoms and help raise awareness about runaway human population growth and unsustainable consumption — and their close link to the endangerment of other species. In fact our Population and Sustainability Program, which launched the Endangered Species Condoms project, might be thought of as an extensive creative media crusade in itself. Ever wondered what intriguing, unique endangered species may be hiding in your hometown? 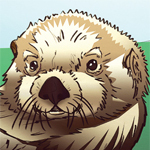 Go to biologicaldiversity.org/speciesfinder to download our new free "Species Finder" app for the Android phone and find rare animals and plants near you. Bring the wild to your iPhone. 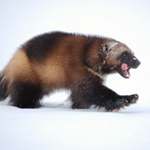 Our free "Wild Calls" iPhone app fills your week with the wild, sending you species sound recordings; the Center's e-newsletter; our latest press releases; and opportunities to take action for endangered species, clean air, clean water and wild places. What better place than the heart of the most populous city in the country to broadcast our conservation message? The Center has launched a series of video ads in New York's Times Square on subjects from extinction, to unsustainable human population, to pesticides. Help the Center save one of the world's most magnificent, unique and threatened fish by pledging not to eat bluefin tuna and spreading the word about its peril. Become part of our Bluefin Brigade. Be a Clean Air Advocate by defending our best existing weapon against global warming — the Clean Air Act — from crippling attacks in Congress (and visit our other Take-action Toolboxes). Then learn how to make your city a Clean Air City. Is Valentine's Day coming up? Halloween? The winter holidays? We have free e-cards themed for all these occasions that you can send to your loved ones, each featuring a catchphrase and an endangered species like the Hawaiian monk seal, gray wolf or beluga whale. Even if now's not a holiday, well, every day is Endangered Species Day to us — and we offer cards for that holiday, too. In addition to our Times Square public service announcements, the Center has launched numerous other PSA campaigns — on numerorus topics and in numerous forms — to make environmental issues more popular with the populace. 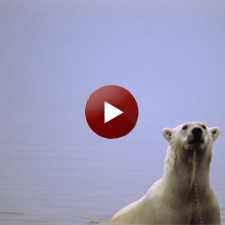 Starting way back in 2008, our first "Save the Polar Bear" television PSA was watched by more than 90 million people — and we renewed it in 2014. In 2012 we did an ad campaign in Nevada against poisonous lead contamination (including a newspaper ad and a radio public service announcement on regulating lead in hunting ammo). And in 2013 we put up a billboard to ban fracking in California.